The founder of P.F. 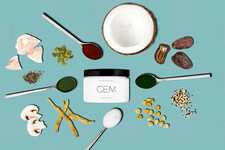 Candle Co. shares her career journey. The thought of getting laid off is a scary hypothetical. It could put your life on the edge economically and also force you to enter back in a possibly competitive job market. However, it might also be an opportunity to reevaluate your career and even find what you are truly meant to do. For Kristen Pumphrey, founder of P.F. Candle Co., this proved to be true. After working in publishing, Pumphrey was laid off when the magazine she was at folded. Although she enjoyed her job, the creative knew that she wanted to explore other options. Well the stroke of misfortune turned out to be a stroke of luck. Pumphrey moved and began selling homemade goods on Etsy, slowly gaining a larger clientele and developing the beginnings of her business today. And, at this point, you can't turn a cheek without spotting one of her long-burning soy candles. This year, P.F. 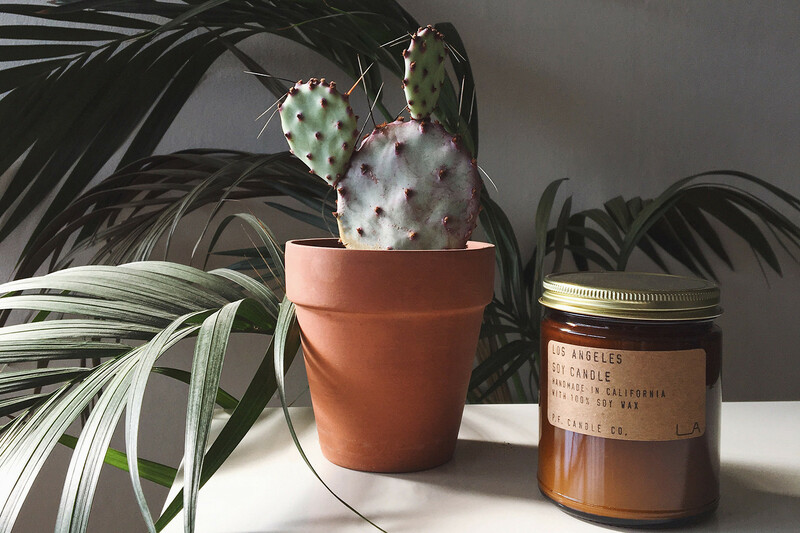 Candle Co. celebrates its 10th anniversary. 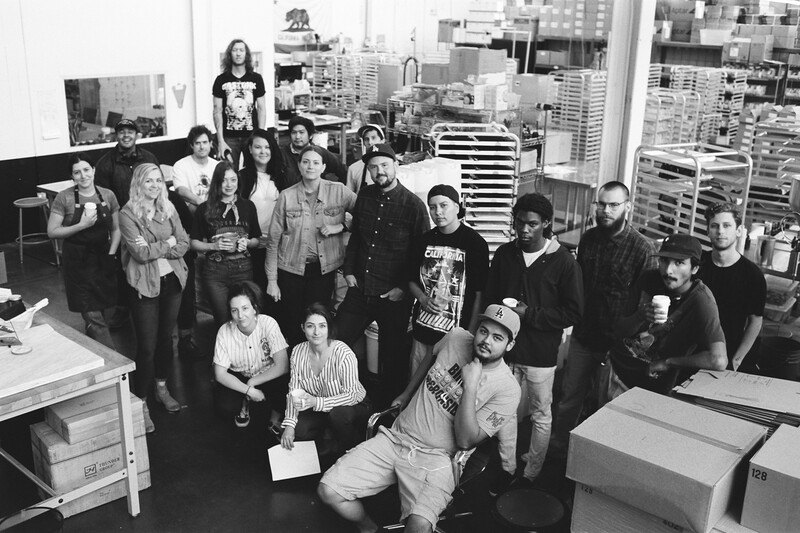 What began as a one-woman pursuit is now a fully-fledged 28-person company with a factory and offices in Los Angeles. 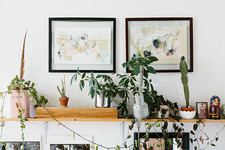 Along with her husband Tom Neuberger, Pumphrey has been able to sell her unique candles to larger retail chains like Urban Outfitters, West Elm, and CB2, in addition to lots of independent boutiques. 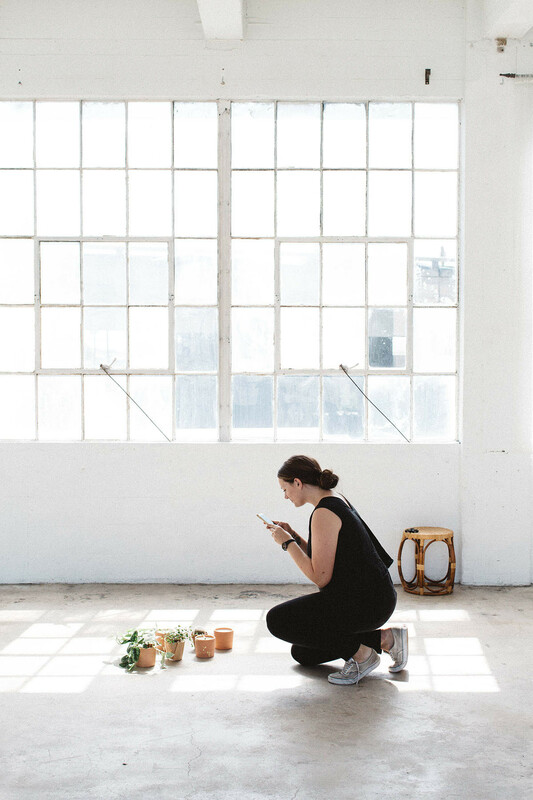 We asked the business owner to share her career journey and how she went from being unemployed to creating her own innovative brand. Lonny: What were your career goals when you were younger? Kristen Pumphrey: I studied acting and creative writing in college. Acting had been my dream since I was a kid, but I got burnt out and was really drawn to writing — poetry, short stories, and editorial. I was obsessed with magazines and I discovered that some of my favorite DIY titles were published in New York. I wrote to them out of the blue with a cute cover letter, asking if they needed interns (note: cute cover letters are great if you're applying for an internship — people are always looking for interns with energy). It turns out, they did. I got a job first as an intern and then an editorial assistant at this knitting, crochet, and craft-focused publishing company. Can you describe what it was like to be laid off? How did you react and begin to reevaluate your career? KP: If I hadn't been so green to the workplace, I could have seen it coming. The main magazine I worked for folded — there were talks of taking it digital, but more of the senior staff ended up leaving. Eventually, it just closed. Although I had duties for other magazines, there just weren't enough to keep me on. I remember getting called into the VP's office and she explained what was happening. I was shocked, and probably teared up a little, but I'd also been wanting to make a change. I'd lived in New York for five years and was wanting something different. A lot of my friends had moved to Austin for the music scene and cheaper living. I remember the VP asked me, “Well, what do you want to do now?" and I said, "I think I'm going to move to Austin and start a small business." One of my duties at the magazine was to write about makers. This was in the beginning of the maker movement, right after Etsy started. It got my head going about making a living by selling things on Etsy. I'd done a few craft fairs in New York, selling whatever I could make — candles, book safes, pins, pillows. I moved to Austin about a month after I got laid off, and worked in a restaurant and an art gallery to supplement my business dreams. When and why did you start making candles? KP: I started making candles when I was 12 with a kit my sister brought home from the craft store. When I wanted to sell handmade goods, I fell back on things I already knew how to make — I already had all the tools! 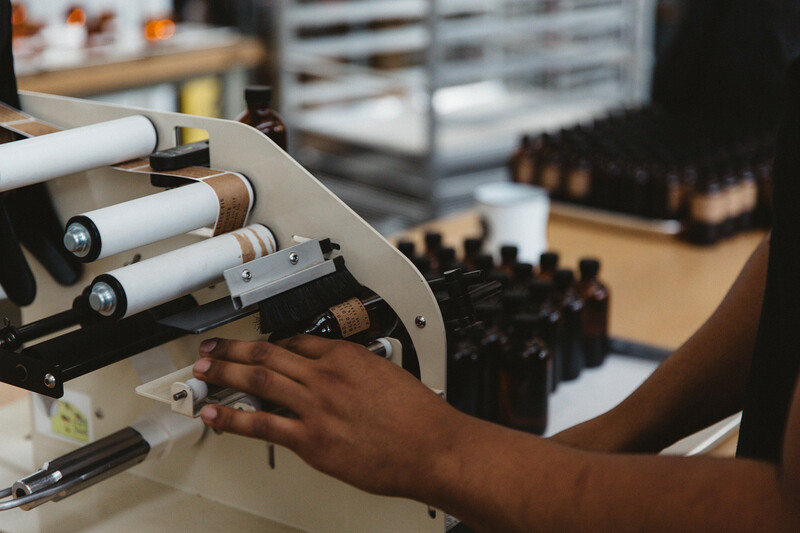 When did you begin to consider candle-making your career? KP: I made a lot of different products under the P.F. name until 2012, when I narrowed everything down to just candles. Honestly, the reason why is that I could scale candles — my other handmade items were one of a kind. I was broke and couldn't make ends meet. I figured I'd look for a full-time job and do candle making on the weekends. Things just clicked into place then. As a result, my company seemed less like a bunch of random handmade items, and more like a brand. 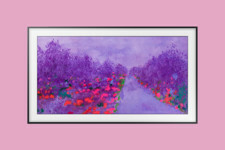 In the beginning of 2013, I got a big order that kept me going for a few months — and then another, and then another. By the summer, I had a potential purchase order from West Elm on the horizon, and Tom and I had just gotten married. He offered to come on board and help me make the order. Now he's my business partner. Photographed by Garrett Charboneau for P.F. 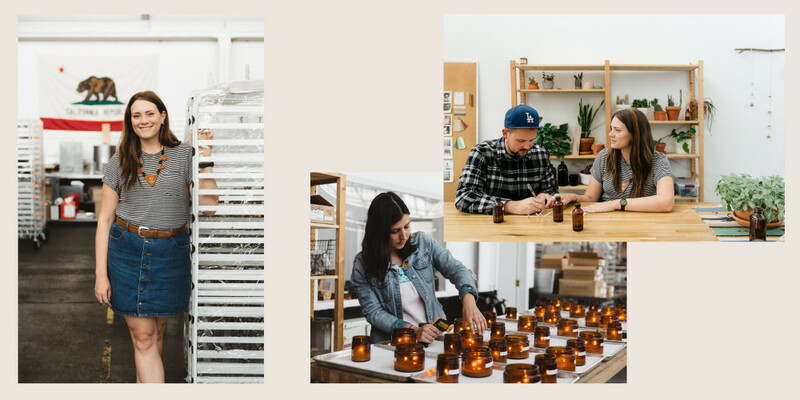 Candle Co.
What was it like to transition from being a single artisan to growing a larger business? KP: I didn't think we'd be employing 30 people. I just wanted to make enough for me to get by — and then enough for Tom and me. That defined success at the time. Scaling the business has been incredibly difficult, but rewarding. I'm a person who likes to hike. I like the challenge — and a challenge it has been. We've had challenges with cash flow, supplies, materials, production, staffing, customers, logistics — you name it. In some ways, I feel like I've been sprinting the marathon for some time now. For us, it works. I was incredibly fortunate to have breaks and opportunities come my way, and I didn't want to say no to any of them. You may only get that chance once. What are your favorite parts of being a business owner? KP: I love the flexibility it's given me with my daughter. If I need to leave early to get her from school, I can do that. I can take her on business trips. Growing a business is a little like growing a plant from seeds. There's a moment where you don't know if it's going to make it (actually, there's a lot of those moments), but when that plant is big and flourishing, you did that. The feeling of accomplishment is incredible. What have been the best lessons you have learned along your career journey? KP: Your community is really important. In old school terms, this is "networking.” What it means to me is being the type of person or company that people love working with. I've translated that for our company as being friendly, personable, and informative. I make it a point to connect with my colleagues and competitors at events, because who wants rivalries? Instead, you push each other to keep going and be your best. I'm naturally a competitive person, but it doesn't feel like fun if the other person isn't in on it. Do you have any advice for people have been laid off and looking for their next path? KP: A layoff isn't necessarily a reflection of your skills or work, so don't take it personally. If you're looking to completely switch paths, that can be scary and exciting. Everyone loves a good fresh start! Be willing to work your way up in a new industry. If you're the person who shows up every day eager to learn with a great attitude, you will move fast. When I was in acting school, our teachers told us that if you couldn't get work, you should create your own. That's what I did. I wanted to take control of my own path and not live in a box someone made for me. Being an entrepreneur is not easy, and it's really important to define what success looks like to you. Success is a moving target. Maybe at first, it's setting yourself up as a real business. Then maybe it's having 50 accounts. Maybe it's landing really key clients. It will grow and change with you.